Been dreaming about finding the perfect full-time fifth wheel to fit your family's active lifestyle? Your dreams might come true when you see this model! This Montana High Country offers a spacious interior thanks to four slides throughout. The kids or guests will have access to a half bath and a private bunkhouse to call their own. The cook in the family will enjoy making meals for everyone inside with dual slide outs, or outside on the outdoor kitchen including a microwave. They will find a 12 cu. 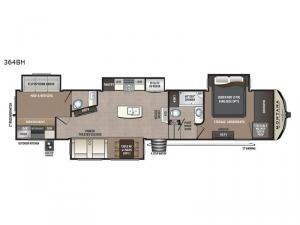 ft. RV refrigerator, a residential microwave oven, and a coffee station, plus more! For inside entertainment, you can enjoy the power theater seating opposite the HD LED TV. 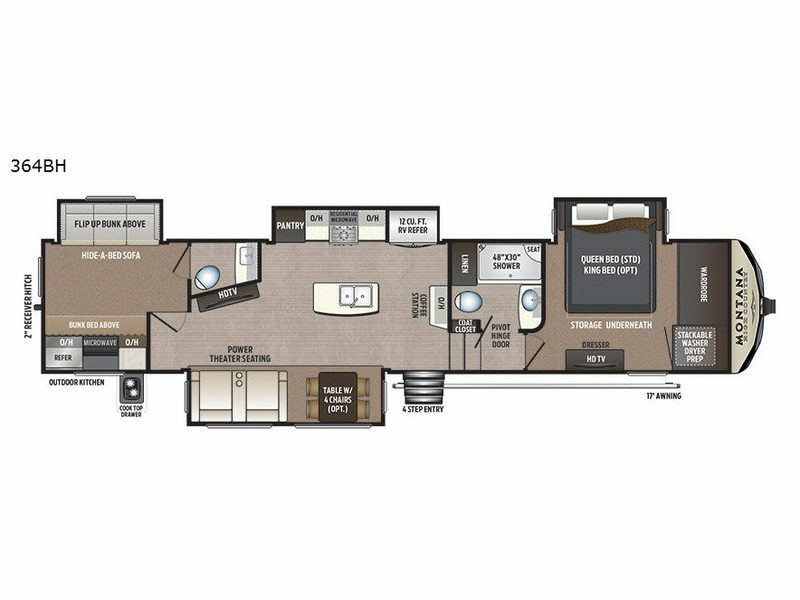 You can keep imagining about your dream RV, or step inside this model.